The Witch-Hunt in Early Modern Europe, now in its fourth edition, is the perfect resource for both students and scholars of the witch-hunts written by one of the leading names in the field. For those starting out in their studies of witch-beliefs and witchcraft trials, Brian Levack provides a concise survey of this complex and fascinating topic, while for more seasoned scholars the scholarship is brought right up to date. This new edition includes the most recent research on children, gender, male witches and demonic possession as well as broadening the exploration of the geographical distribution of witch prosecutions to include recent work on regions, cities and kingdoms enabling students to identify comparisons between countries. Now fully integrated with Brian Levack’s The Witchcraft Sourcebook, there are links to the sourcebook throughout the text, pointing students towards key primary sources to aid them in their studies. 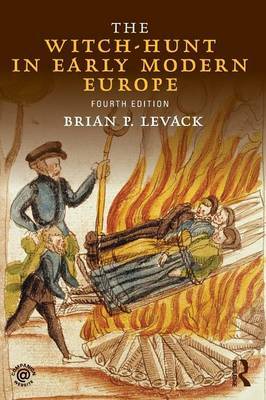 The two books are drawn together on a new companion website with supplementary materials for those wishing to advance their studies, including an extensive guide to further reading, a chronology of the history of witchcraft and an interactive map to show the geographical spread of witch-hunts and witch trials across Europe and North America.